Firefighters in Eston, Eatonia and Kindersley received grain entrapment rescue training this weekend. 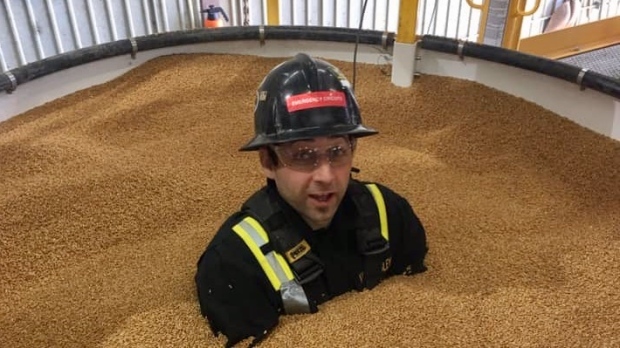 Using a simulator, fire crews learned the best practice to save people who fall into grain bins. Eston Fire Chief Richard Baron said grain acts like quick sand can suffocate a person who gets stuck. “We want to make sure the person inside the bin is not suffocating and then we have to remove the grain out of the bin,” Eston Fire Chief Richard Baron told CTV News. During the training session, firefighters learned how to use four-sided tool that folds into a circle to separate the victim from the crop. “Grain bins are getting bigger and bigger, and they pose a big threat to farmers,” Baron said. 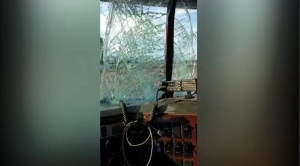 The fire chief said he personally hasn’t responded to a grain entrapment call, but said it’s common for farmers to fall into their bins during cleaning or contamination checks. The grain entrapment simulator travels to different towns to teach firefighters how to rescue people in similar situations. The simulator leaves Eston and goes to Winnipeg on Monday.